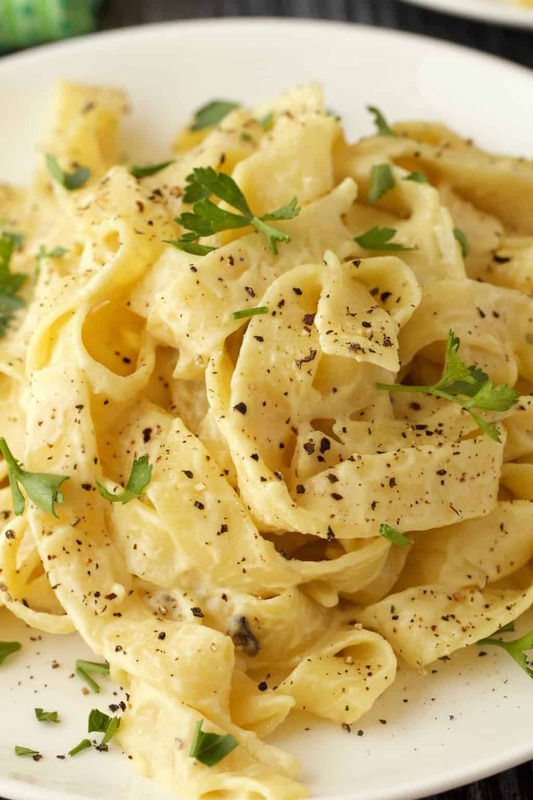 When researching this recipe, I was trying to find out what pasta alfredo really is! Is it a cream sauce or a butter and cheese sauce? 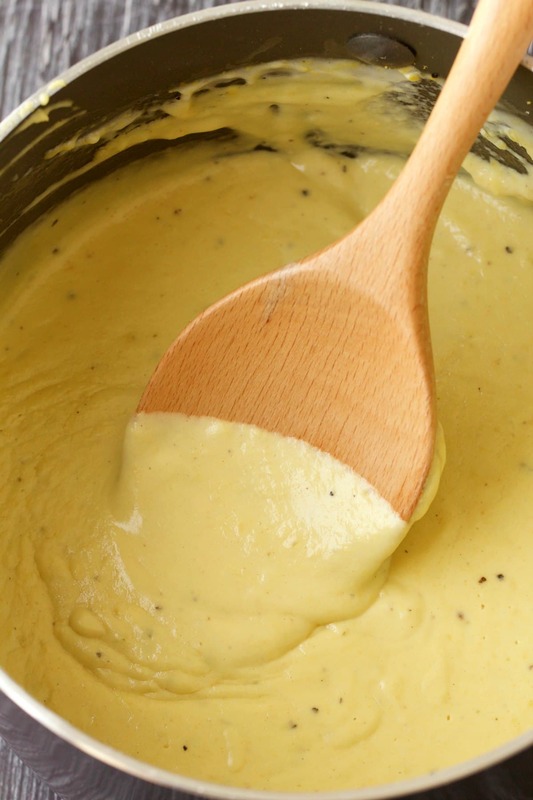 It seems that traditionally it was a butter and cheese sauce, but it has evolved to become any kind of sauce that is really really creamy and rich. 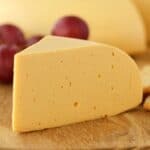 Whether there is cheese in it or not, butter in it or not, cream in it or not, is not the deciding factor. 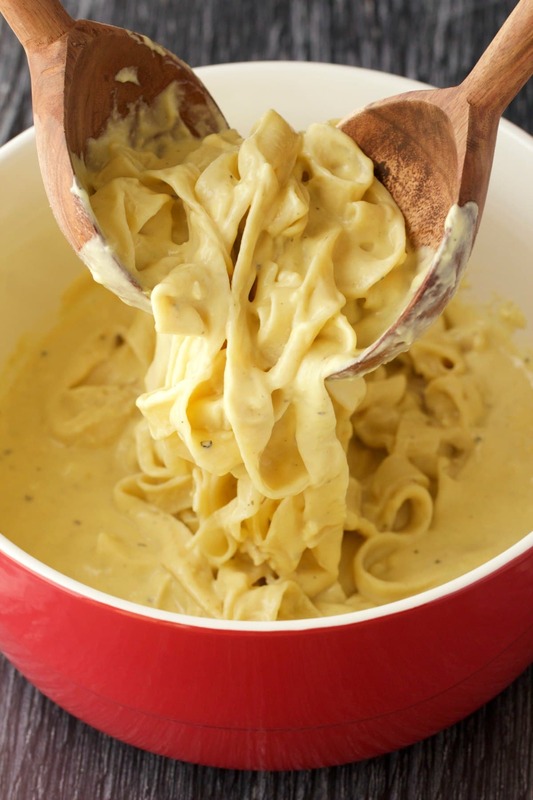 Is it a crazy rich super creamy sauce? Then you probably nailed it. 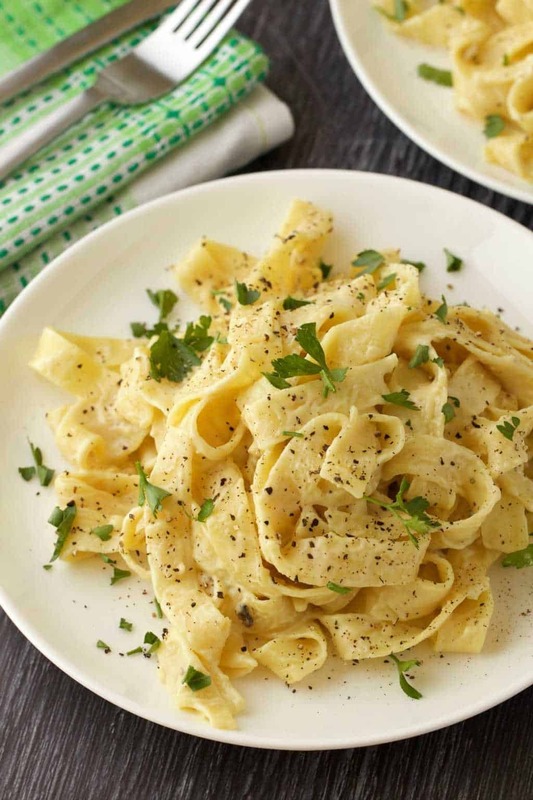 For this vegan alfredo recipe I decided to go with a cheesy garlic alfredo sauce made with coconut milk, garlic and vegan butter for a crazily rich, crazily delicious sauce and some added nutritional yeast and dijon mustard for the cheesy flavor. This was served with fettucine, lots of black pepper and some fresh parsley. 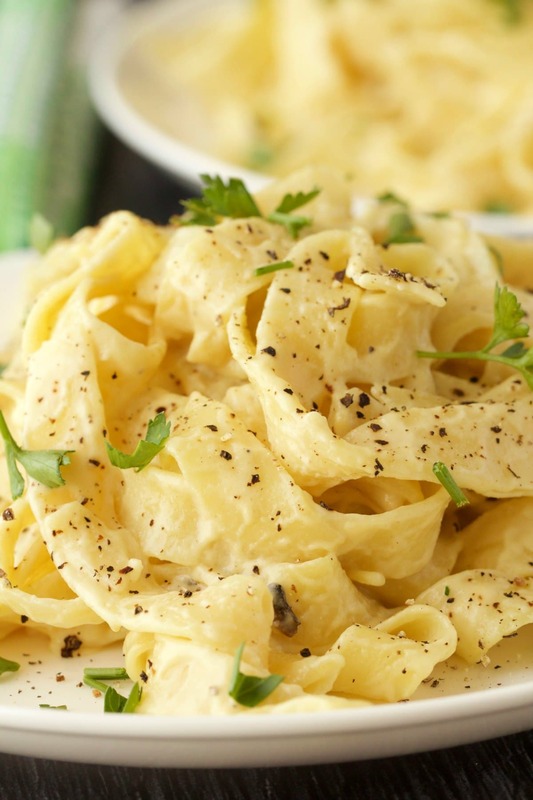 You only need a very small portion of this vegan alfredo to be entirely satisfied, but that’s not a bad thing is it! 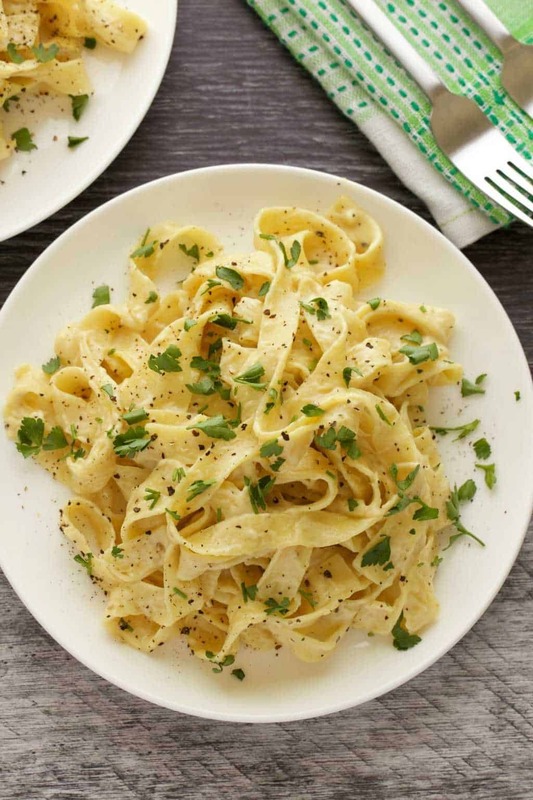 Making this vegan alfredo is so easy, it’s just 30 minutes (actually it’s more like 20) and you have a seriously delicious meal on the table. 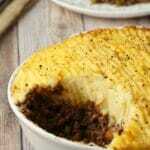 Serve with a side salad for something a little lighter to complement the richness of this dish. 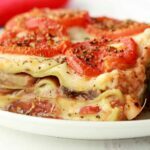 If you have any leftovers, keep them in the fridge and enjoy them for lunch the next day. 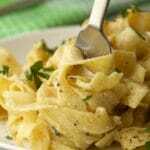 So let me know your thoughts on this vegan alfredo recipe! 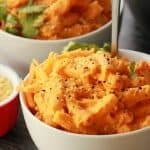 If you make it, rate the recipe and let me know how it turned out! Tag any pics #lovingitvegan on instagram so I don’t miss them! 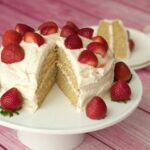 And don’t forget to sign up for our email list – you’ll get a free (awesome) recipe ebook and you’ll stay updated with all our latest recipes. Deliciously rich and creamy vegan alfredo, super cheesy, garlic infused and ready in 30 minutes or less! 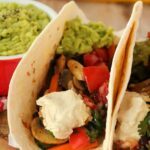 Perfect for an easy and delicious vegan dinner. Put the fettuccine on to cook according to package directions, when cooked, drain well and cover. If the pasta starts sticking together, toss with a small amount of olive oil. Add the vegan butter to a saucepan along with the crushed garlic and heat until the butter is melted. Sift in the flour and fry the flour in the butter briefly. Then add in the coconut milk and vegetable stock and whisk with a hand whisk to remove any lumps. Stir continuously until the sauce begins to boil and then continue stirring until it thickens. 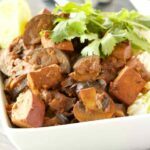 The sauce will continue to thicken as it cools, so it doesn’t need to be the perfect thickness when you remove it from the heat, but it must have thickened quite a bit from when you started. Remove from heat and add in the black pepper, dijon mustard and nutritional yeast and whisk in with your hand whisk. Add sea salt to taste. 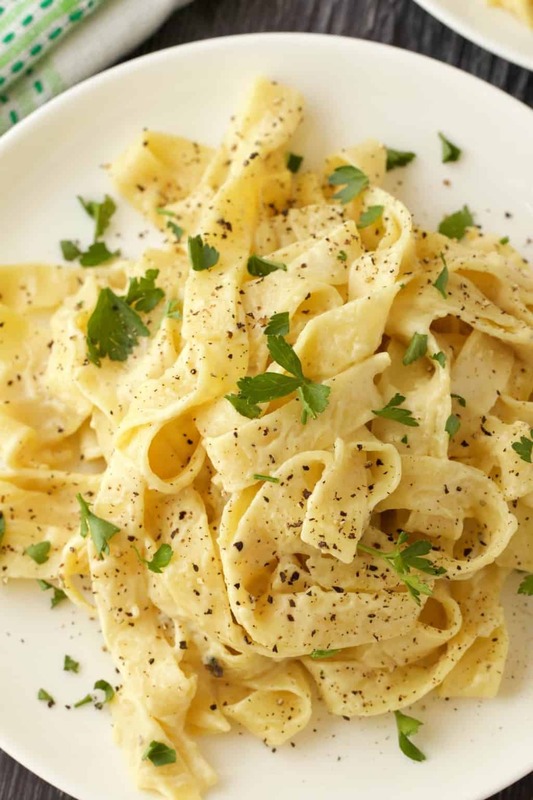 Toss the sauce with the cooked fettuccine and serve with chopped parsley and a sprinkle of black pepper and some vegan parmesan cheese (optional). *You can use gluten-free pasta to make this meal gluten-free. 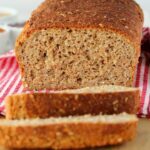 *You can switch out the all purpose flour for gluten-free all purpose flour if you prefer. I made this, along with your cheese spread, for our Valentine’s Day dinner. 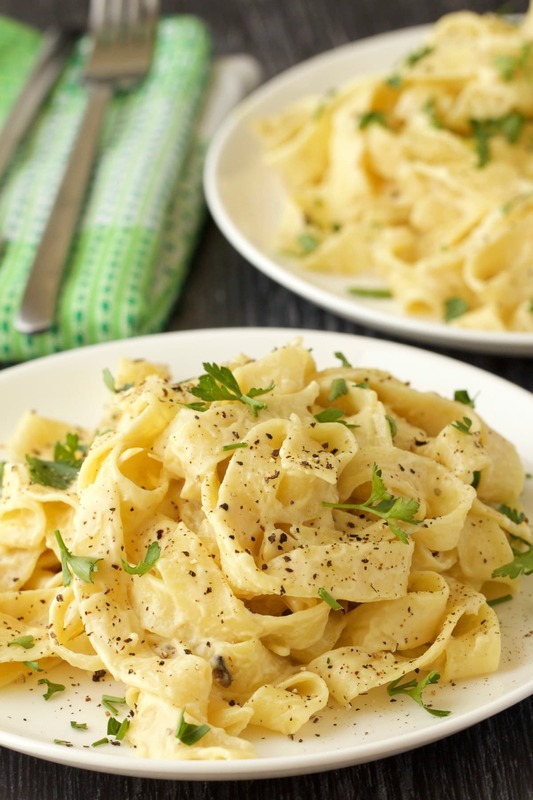 I have to say that before my wife and I went vegan, I was a serious pasta addict and fettuccini Alfredo was my absolute favorite dish in the world. 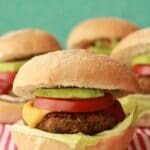 I had high hopes for this recipe — and I was not disappointed! 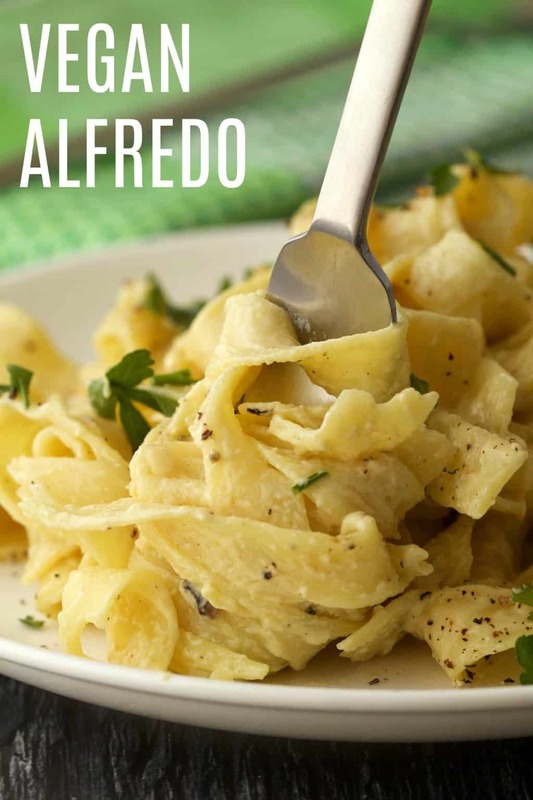 Super easy, super delicious, and totally scratched my Alfredo itch. This is a keeper. Next time I might try it with light coconut milk or even almond milk just because we normally try to eat low-fat. For those asking whether you can taste the coconut, I’ll say that there was a hint of it there, but that’s not a bad thing at all. Overall great taste, creamy texture, and satisfying. The coconut flavor was a bit strong for me (compared to other vegan alfredo recipes I’ve tried) and I felt it needed more flavor so I added some sriracha sauce and more black pepper and salt. So this makes a great thick and creamy sauce, however, I find it too sweet from the coconut milk. Does anyone have any tips on how to neutralise the sweetness? Hi there, it shouldn’t be sweet at all, I think you may have used a brand that had added sugar. Canned coconut milk isn’t supposed to have any sugar added. Check the ingredients list, there should not be any sugar at all, just coconut. Sure looks great! Cant wait to try it! The recipe was real simple. I modified it a bit to suit my taste. 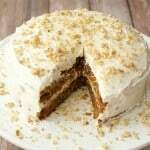 I substituted coconut milk with heavy coconut milk. I added Broccoli, Mushrooms & basil pesto. I tagged the picture to the IG page.